Morning ladies I think we can all agree that stripes are a wardrobe necessity & something most of us have in our wardrobes. It starts with a classic stripe shirt/breton & then before you know it you find yourself with a small collection & instantly attracted to more, after all there's so many variations from style to colour to design! For me they always look so fresh & stylish & are definitely something that's never going to go out of fashion. 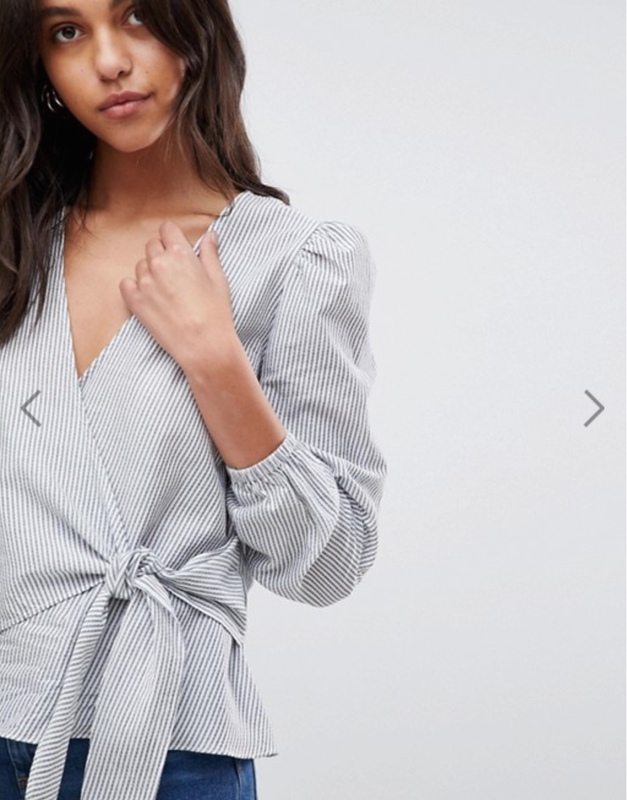 So just to tempt you further into 'clicking the button' I thought today I'd share with you my top edit from the high street this season. 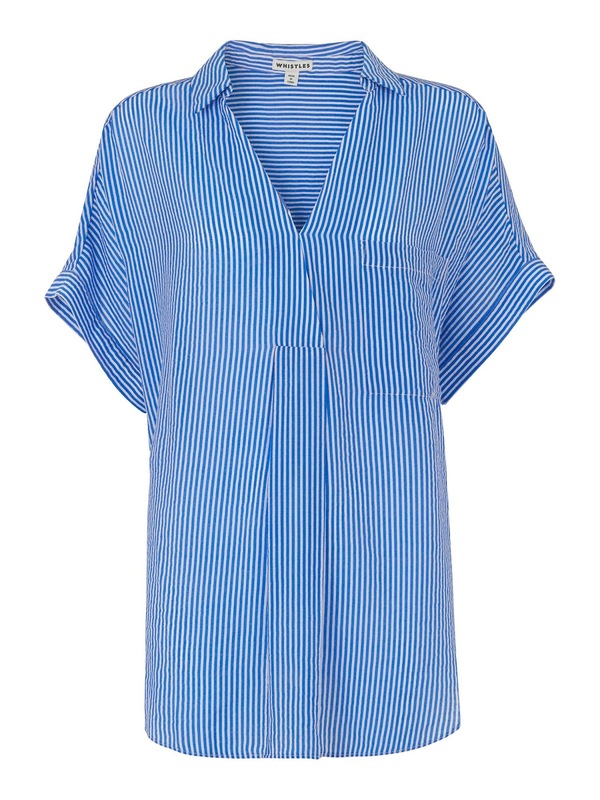 Starting with the above stripe shirt that is right up my street with a stunning frill collar & cuffs & lace detailing. 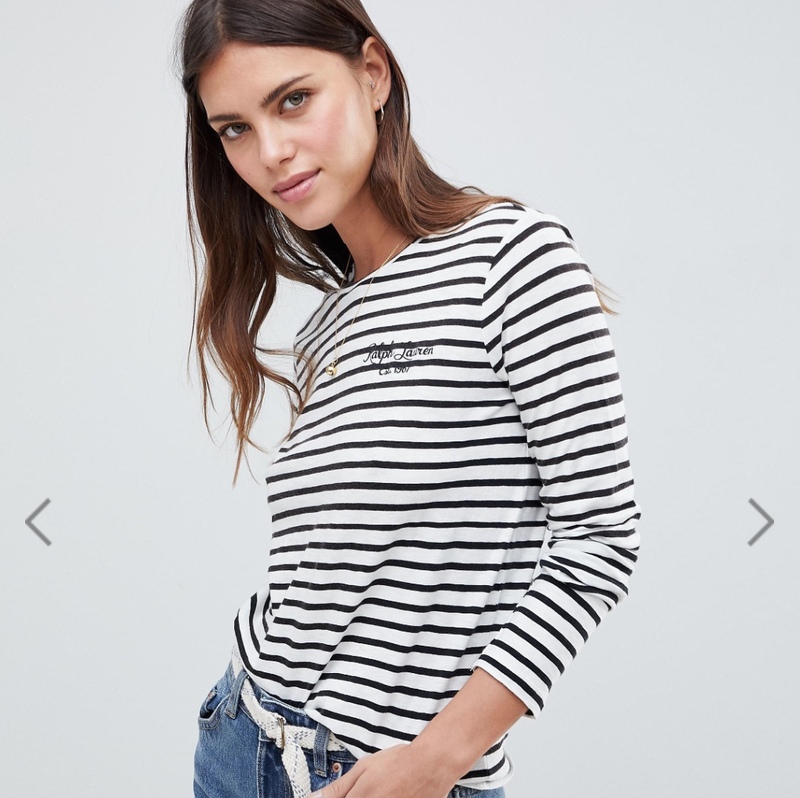 Perfect for teaming with jeans or styling with a classic pair of cigarette pants but equally ideal for layering under a simple crew neck jumper with the lovely frill detailing peeking through. 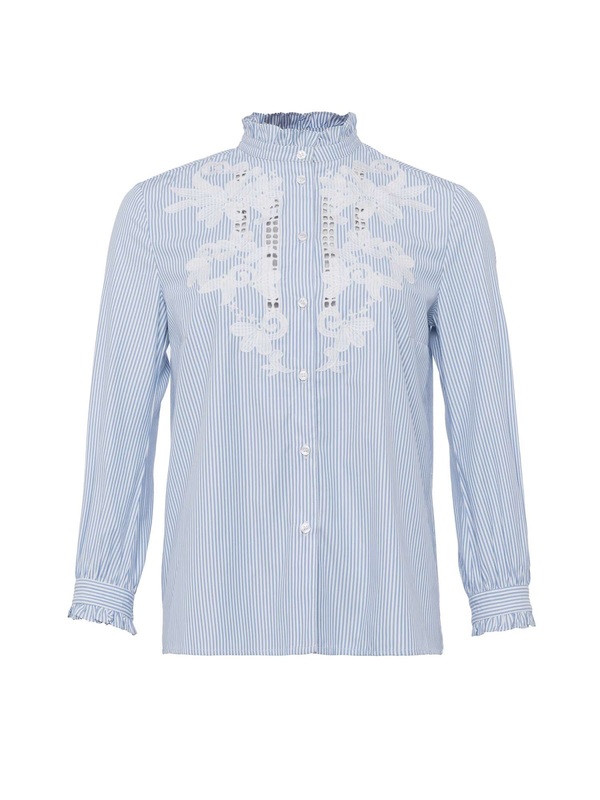 This next shirt is a real timeless classic. For me this would work perfectly with white jeans/trousers or boyfriend jeans/cut offs teamed with a simple tan sandal & classic panama. The ultimate in effortless style. Similarly this next top could be styled the same but would also work with a maxi skirt too. Or for a variation of a theme then I love the ruffle detailing on the sleeves of this next top. 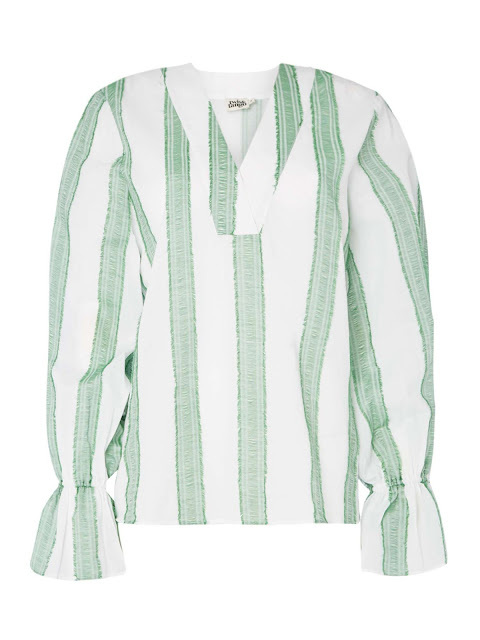 And the wrap over styling on these next two blouses. 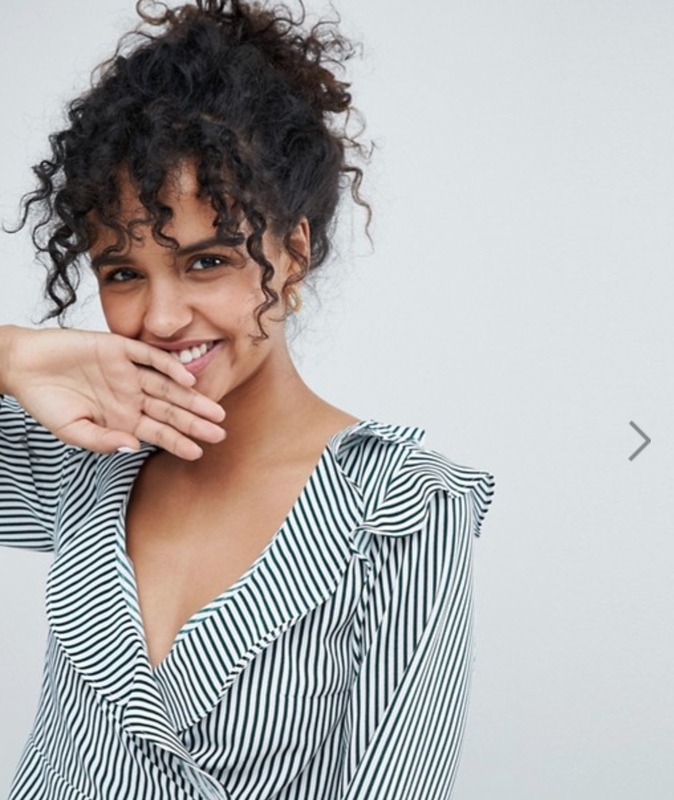 Of course stripes needn't be in the classic blue & white or black & white combination, as I mentioned earlier there's so many variations including colour that the choices for a stripe-a-holic are endless. 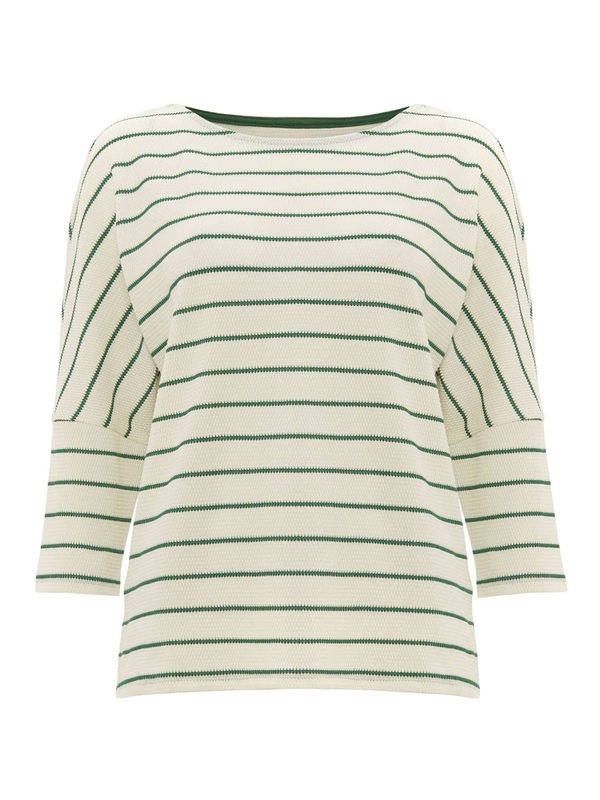 Like this lovely green & white deep 'V' neck top. 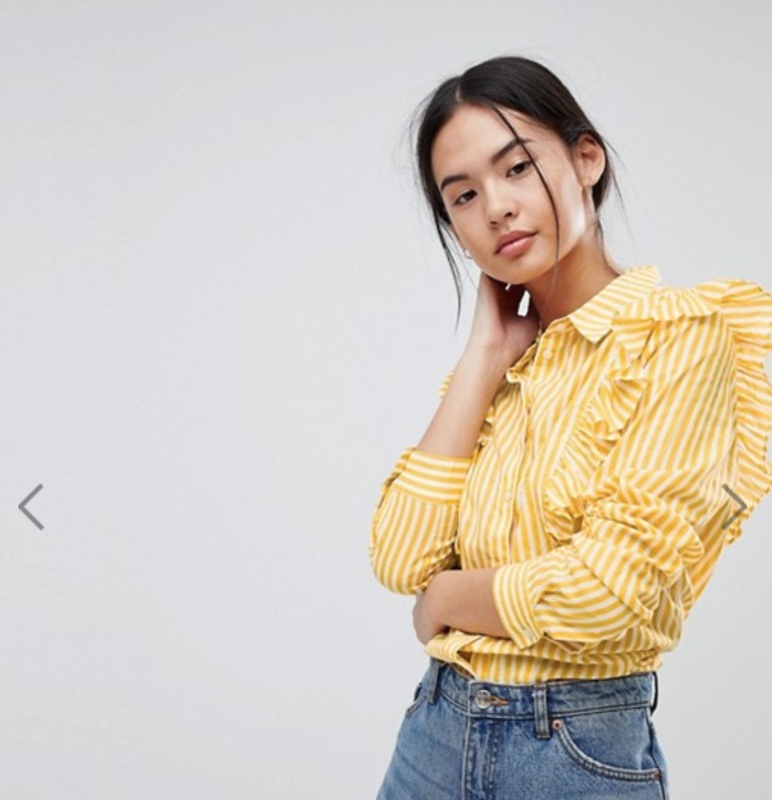 Or this yellow ruffle number that would look great teamed with navy. 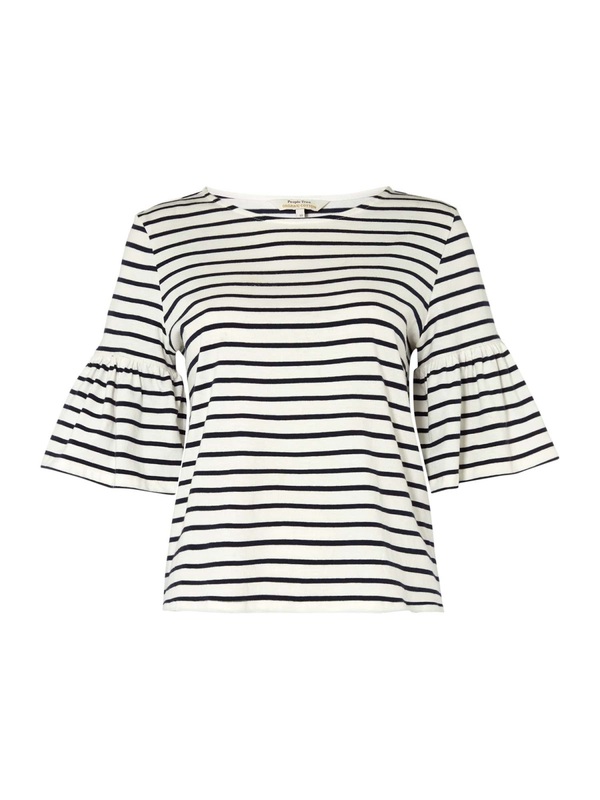 Or if you want a variation on the classic with that little bit extra detailing then you'll love this next top as much as I do. 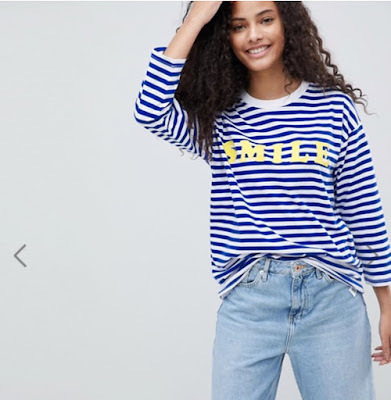 Then of course there's the statement breton such as this slogan one that would be perfect for pairing with a classic blazer. 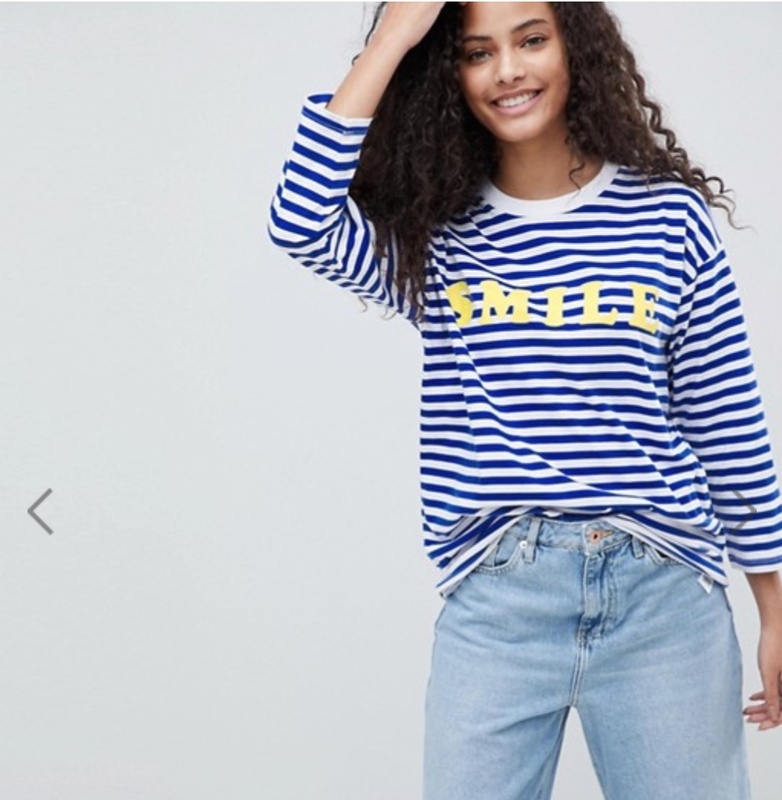 Or if you prefer your slogan a little less loud then this next one would be ideal. Love the colours in this next one. 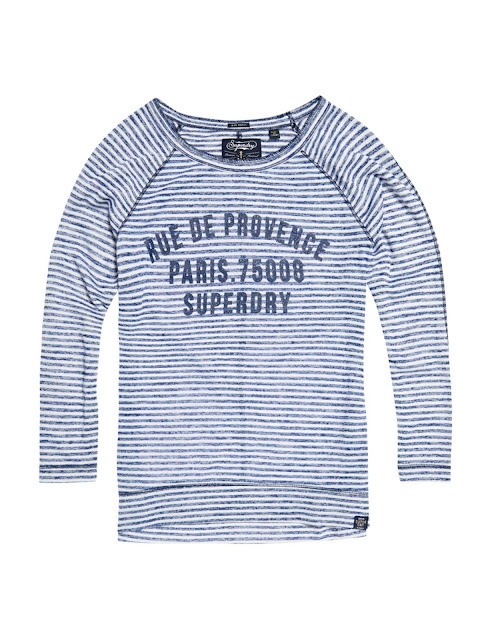 And how good would the sweatshirt below look paired with leather leggings & white trainers. 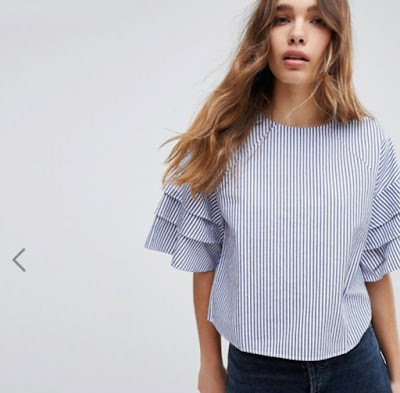 This next top would be ideal for weekend attire - team with boyfriend jeans, trainers & a biker & you've got a great stylish & practical go to look. 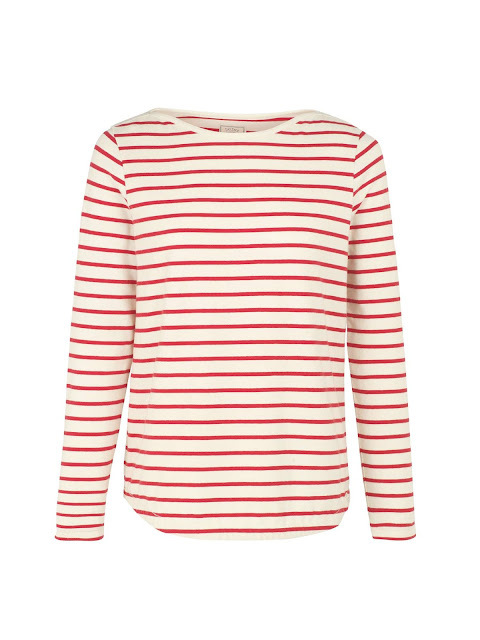 If you're on the look out for a stripe jumper that's a little different to the norm then you'll love the one below. 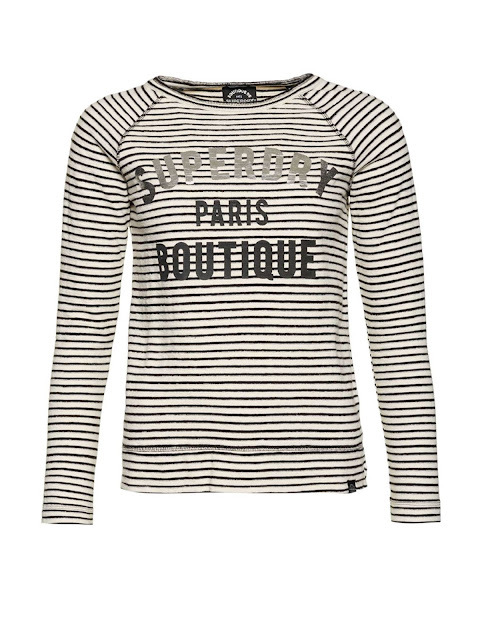 I must admit this has got my fingers hoovering over the 'buy me' button. 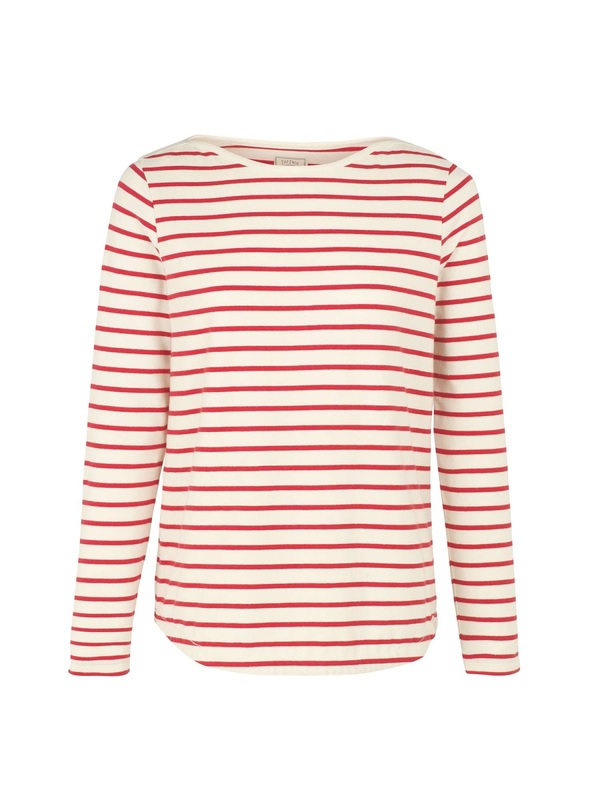 Finally of course you've got your classic bretons but in different colour combinations such as red & white like the one below. Or if you're loving green as much as me then you might be tempted by this variation. Back to today & my outfit consists of a few of my favourite things - broderie anglaise, a statement jacket & my kitty shoes. 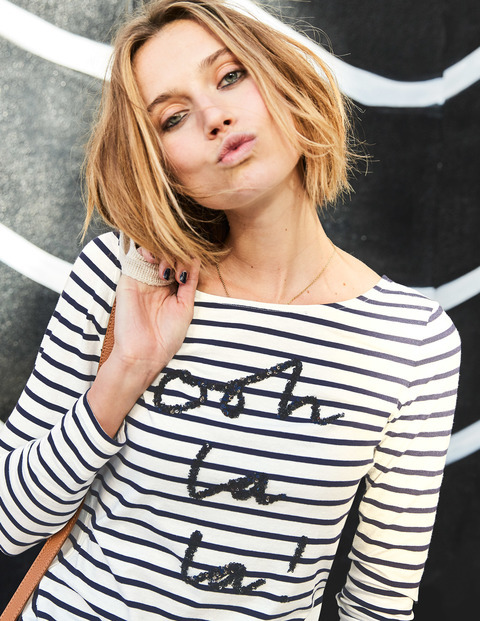 So ladies are you a stripe-a-holic? 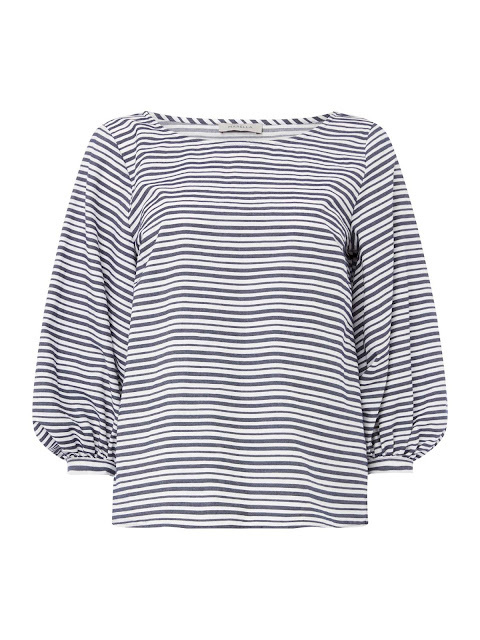 If so how many stripe tops are currently hanging in your wardrobe? Do you have a favourite style/colour combination or is it a matter of the more stripes the better & you can never have enough? As always I'd love to hear your thoughts. Also a quick reminder that I'll be finalising my order for the face & eye creams I have shipped over from Majorca. So if you'd like one ordered get in contact with me here before the end of the week.